As if a one-headed snake isn't scary enough! A Virginia woman was greeted with an unexpected surprise as she tended to her garden last week. 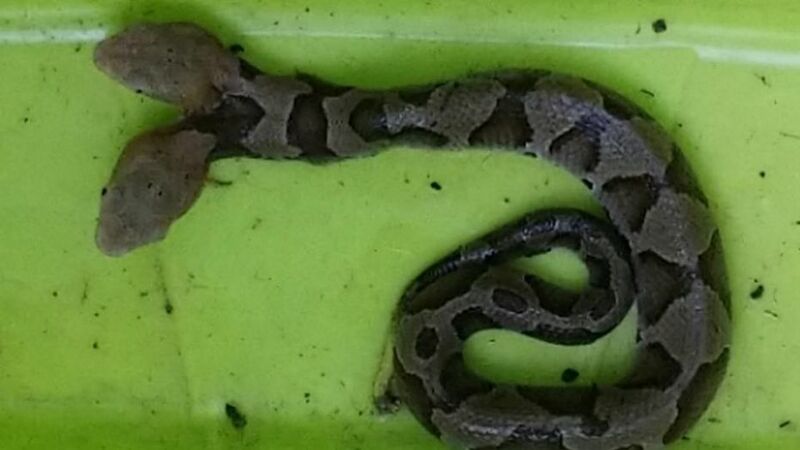 The woman stumbled upon a two-headed copperhead snake, a very rare find in the wild. Two-headed snakes are rare -- not only because they are statistically uncommon but because they face obstacles which threaten their chances of survival as well. A 2002 National Geographic article notes, "Snakes operate a good deal by smell, and if one head catches the scent of prey on the other's head, it will attack and try to swallow the second head." Terrifying, right?? Thankfully, this snake did not face a similar fate. One reason might be because the snake was only about two weeks old when it was found. After the snake was found, the woman contacted Virginia Wildlife Management and Control who then brought it to the Wildlife Center of Virginia. The center examined the snake and found that the snake had a more dominant left head than right head. The left head was more active and responsive to stimuli. The snake has two tracheas and esophaguses but shares a heart and set of lungs. While the center said that it would be better for the right head to eat based on the animal's autonomy, the left head apparently is not on board as the more dominant of the two. So what does the future hold for a two-headed snake with conflicting personalities? State herpetologist J.D. Kleopfer told USA Today that hopefully the snake will be put on display at a zoo. The Wildlife Center of Virginia said in a press release, "Wild two-headed snakes are extremely rare – they just don’t live that long. The herpetologist will continue monitoring the snake; if it survives, it will likely be placed in an educational facility." Let's hope the little guy makes it and one day will be brought to the National Zoo for all of us to ogle at. What do you think? What would you do if you found a two-headed snake? Let us know in the comments below! Snakes seem to be making the news quite a bit! 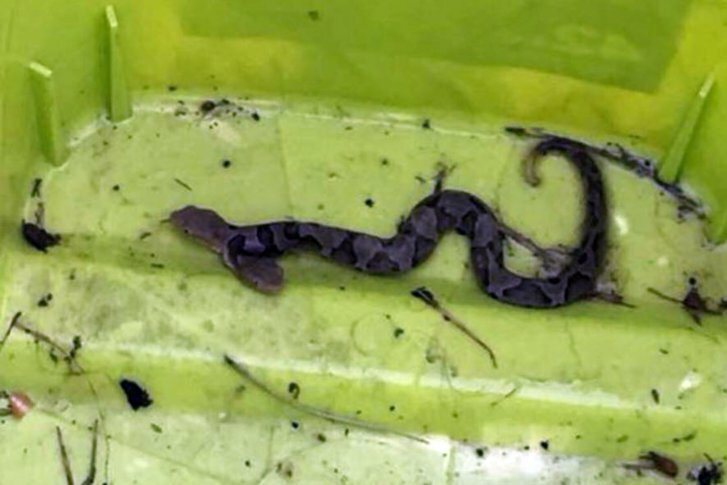 A North Carolina man just encountered a snake in his toilet -- for the sixth time!